From mobile radio deployments to networked telecommunications, AEG Group, Inc. has the knowledge and expertise to create personalized solutions for all your mobile communication needs. Whether your firm has an existing network that needs to be maintained, expanded or you require the installation of a new network, AEG Group, Inc. can custom design, install and/or configure your network. AEG Group, Inc. leads the way in mobile, broadband communications. The AEG Group, Inc. engineering team provides design and deployment resources for the latest updates in technology. The AEG Group, Inc. team has experience with small, medium, and large project deployments that span from months to years. If you don't have an IT department don't worry, you don't need one when you can rely on AEG Group, Inc. to be your trusted domestic, outsourcing IT Solutions Company. AEG Group, Inc. understands the vital importance of safeguarding your data and website content. We have security systems and custom software to protect it so it's all unquestionably safe and secure. We help companies and organizations better manage their data safe & securely. AEG Group, Inc. provides a diverse array of Mobile IT products for every mobile communications need and installation. 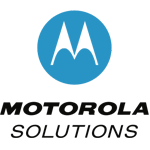 AEG Group, Inc. is strategically aligned with partners such as Motorola, HP, and other IT vendors. AEG Group, Inc. maintains public sector authorizations and certifications with top IT manufacturers, including Motorola Solutions, Cisco, David Clark and many others.